It’s been two and a half years since I moved here in Pampanga. My work brought me here. I was hired by a company based in Clark Freeport Zone on April 2010. When I think about it now, I feel as if it wasn’t that long ago. It doesn’t feel like it’s been more than two years already. Time has passed by so fast. In my two years here, there were several things that happened. I got a small apartment. My wife and kids moved in with me. Our friends and relatives came to visit. We’ve gone to some places of interest around Clark. I gained more experience in my new job. I got to know Pampanga a little more. I’m not the type of person who likes to hang-out a lot. I understand most people prefer to go to malls, resorts, parks, restaurants, amusement centers and the like, as much as they can. I’m not like that at all. Sure I would like to have the chance to travel once in a while. But I’m not the type to always want to hunt for a place to enjoy. I can be just as happy at home reading books, watching movies or surfing the internet. When I moved to Pampanga, I didn’t expect that to change at all. But I found out being a homebody won’t do for a family. It just wouldn’t work. Especially with my two kids around, they will be extremely bored if I kept them from going out. And so we try as much as we can to venture out once in a while. 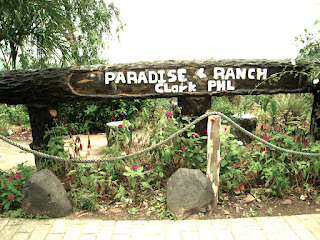 In more than a year’s time, we’ve actually been to a few places near and around Clark here in Pampanga. Take note that Clark Freeport Zone is in between the town of Mabalacat and the city of Angeles. 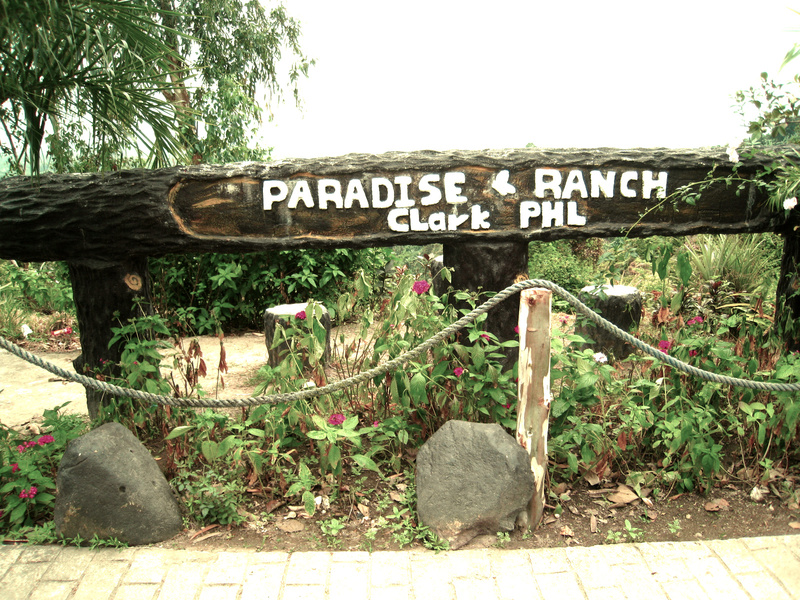 So when I say “near Clark”, I mean to say that these are around Mabalacat and Angeles City in Pampanga. But sometimes we dare go somewhere farther away. Here's a list of where we've been. 1. Nayong Pilipino – We’ve gone to this place twice or trice already. Not because it’s that good but it’s just one of a kind in Clark. There used to be one like it near NAIA (Ninoy Aquino International Aiport) in Manila but it’s not operational anymore. When we were kids, Nayong Pilipino was the favorite place to go for field trips. It contains replicas of popular places in the Philippines. There are small versions of a volcano, rice terraces, nipa huts, churches, popular houses, etc. This one in Clark is situated just behind the Centennial Park. You pay 50 pesos entrance fee to get inside. You can even rent a small boat for a little fun time on their mini man-made lake as well. 2. Fontana Water Park – This is the biggest water park I’ve ever been to. Not that I’ve been to a lot but this one is just really big. They have quite a number of different pools made with contraptions here and there to make it enjoyable as much as possible. The only problem we had was our two kids were both afraid to go in the water. We were too excited that we were not able to consider how our kids would feel about it. We’ve not prepared them well enough for it. We didn’t expect they would find swimming or playing in the water such a fearful thing to do. If we had done it now, a few months later, both of my kids would have enjoyed it tremendously. They’ve learned to love the idea of getting their bodies wet by soaking in a pool or any other containers with water in it. 3. Zoocobia – I had high expectations for this zoo before we visited it. A very good marketing strategy that they made was when they brought some of the animals to SM. It sure got us more interested than before. My kids were really excited to check out the zoo. Going there was not a pleasant experience, to say the least. The road was very rough and dusty. You would think that they would have fixed it before doing a big promotion to get people to visit. I thought the rough road totally turned people off. The zoo itself was not that much remarkable. There were a few animals but nothing really interesting to hold our attention. It’s an ordinary zoo that’s not even complete. I mean, there were several animals you won’t find in it. 4. Paradise Ranch – When we got to Zoocobia, we were surprised to find out that it cost a lot to get in. 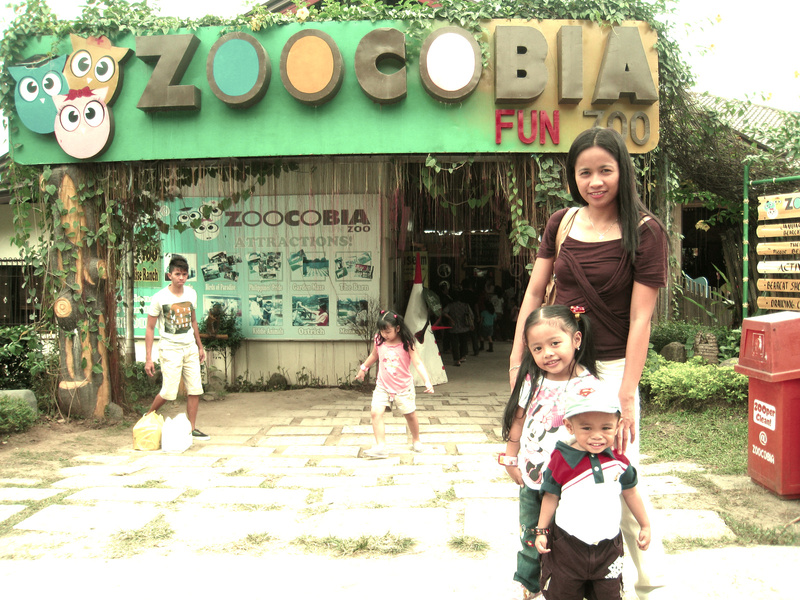 It’s a little less than 500 pesos for each of us, which was a huge sum compared to other zoos we’ve been to. They told us it’s because you pay for two attractions. Apart from Zoocobia, you also get to enjoy the Paradise Ranch. What if you don’t want to go to Paradise Ranch, you may ask? It’s not an option. You’ll either go and pay for both or none at all. So with much reluctance on our part, we paid premium to see both. With the long rough drive to get there, we figured we might as well check both. Paradise Ranch was actually not bad at all. I enjoyed it much better than Zoocobia. It’s like a mini-park where there was a series of pathways to go around. There were plants, trees, flowers, birds and butterflies. They’ve got a mini-lake as well where we paid someone to give us a ride to the other side and back. We also got to feed fish in the lake. The kids enjoyed it. Paradise Ranch was actually built on a mountain. So you’ll feel it getting more difficult to walk as you go along because you’re going uphill. At the top, there was a beautiful view of Clark and the surrounding area. There’s also a small swimming pool where you can go for a dip if you feel like it. 5. 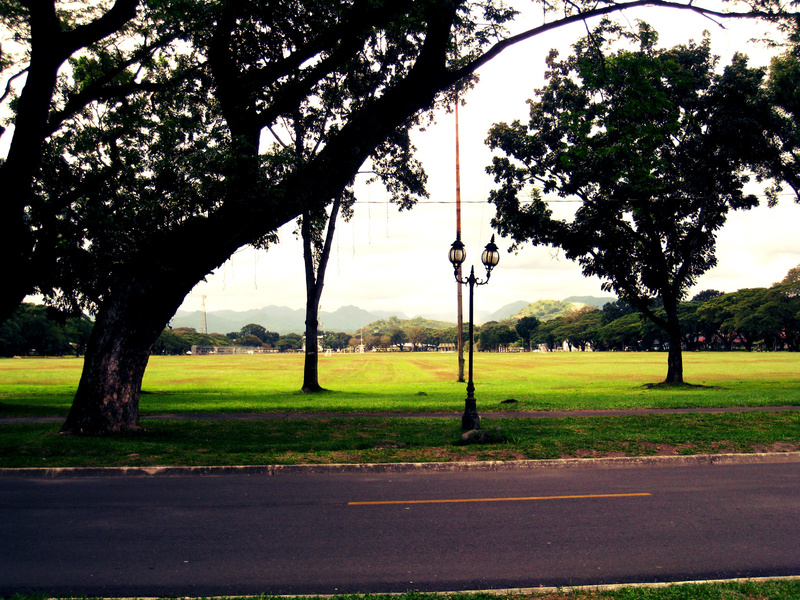 Clark Parade Grounds – We all love to be here. We visit at least once a week. It’s a place where most people go to run. There's a paved pathway for joggers who may want to shed some calories. There’s also a playground for the kids. Besides that, it’s an ideal place to just hang around with the family to relax. There are acacia trees around that provide shades from the sun. At around 5 pm, the weather is cool enough for anyone to feel good about fixing a blanket to lie down or eat. If it weren't as far from our house as it was, I would be there every single day. I would have no excuse for failing to run on a daily basis as I should. That would have accomplished one of my resolutions that I kept failing to do. 6. Clark Picnic Grounds – It used to be just a park that people freely enjoy. But now there’s a portion where you have to pay to get in. That’s where we went to have a look and see what they have to offer. We paid 10 pesos each to enter. Reasonable price if you ask me. Inside, the most prominent thing to notice was the zip lines. Those were not free, however. You’ll have to pay extra to try those but we didn’t bother. Maybe next time we will. We decided to just walk around the area. We saw people still coming in at 4:30 pm even if the place closes at 5. It seems a good enough place to just sit idly by or play with friends or just have conversation with loved ones. Some people brought food. Others were more active. A few were waiting in line for their turn on the zip lines. 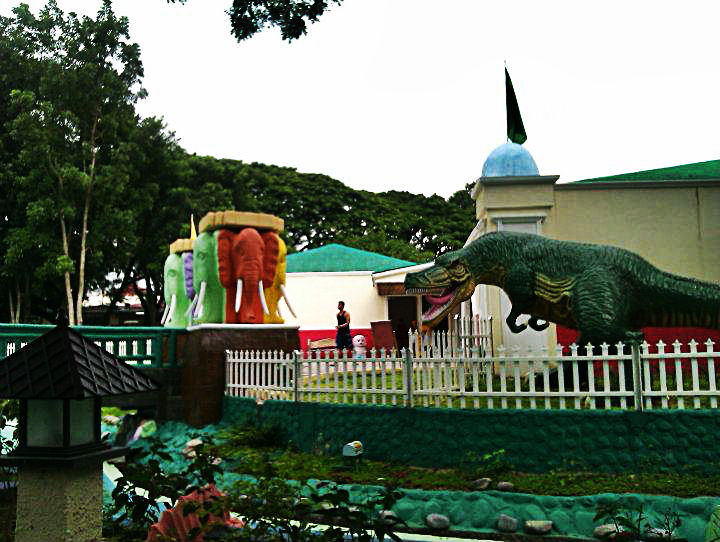 We saw the newly built area showcasing dinosaur figures not far away. But we didn’t go to see the place because the entrance fee was a little expensive. It was also getting late anyway so we just decided to go home at around the time the park closed. 7. 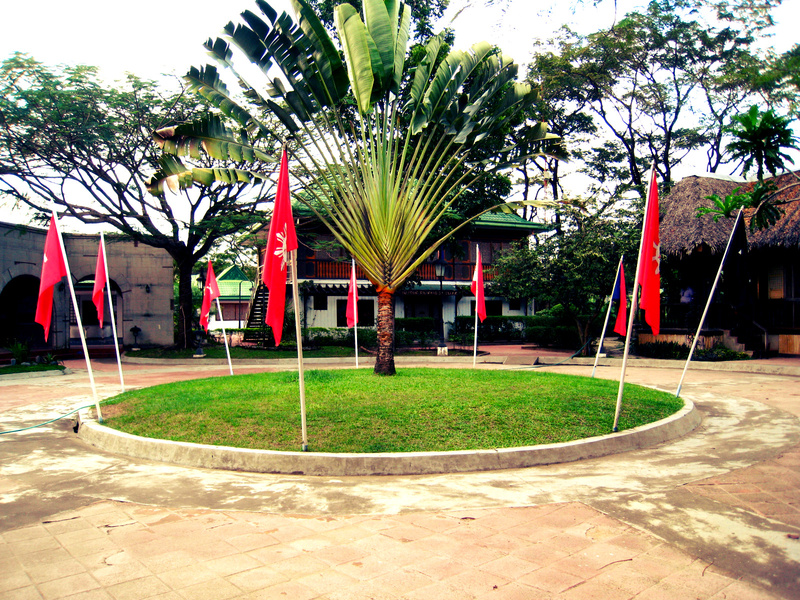 Air Force City Park – Clark is home to some of the Air Force personnel of the Philippines. I’m not exactly sure how the Air Force base looked like in its prime. I guess it was way better than it is now. 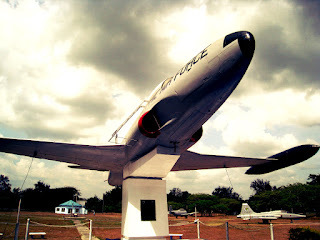 The Air Force City Park is a relic, literally, of the Air Force of the past. It showcases several old fighter aircrafts good enough to demonstrate their outer shells. Otherwise, these aircrafts would have been left to rot in a junkyard. They can’t be used for anything else than to amaze people who've not seen huge planes face-to-face. Besides the old aircraft shells, the park can also serve as a picnic ground. There’s a small playground for kids and the area is big enough for those who may want to jog around. We have been to this place several times and we’ve grown tired of it. We really prefer the Clark Picnic Ground more now because it’s a little cooler there. 8. 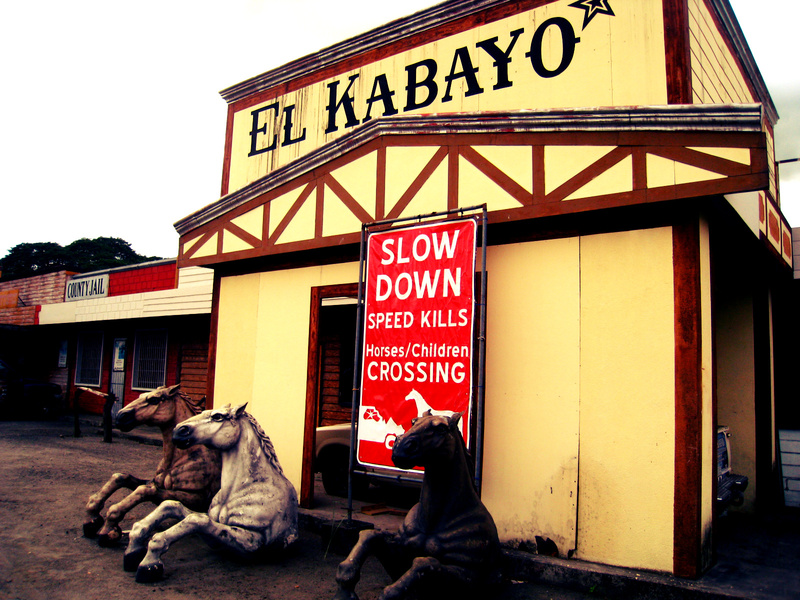 El Kabayo – We thought we’d do some horseback riding here but it turned out to be quite expensive to do so. I guess their target customers are those who want to learn great horseback riding skills. Not us who just want to have some fun. We opted to just do some photo shoots instead. We thought the cowboy-country look of El Kabayo was pretty cool. It was a fun experience until a lady got out of her office to tell us we’d have to pay 50 pesos to take pictures. WTF?! There are far too many places somewhere else where we can take photos for free. I’d have to say it’s not worth that amount to get permission to take photos in El Kabayo. So we just left. 9. Clark Museum – We were surprised to find out there was actually a museum we could visit in Clark. It featured artifacts and information about Clark’s history. 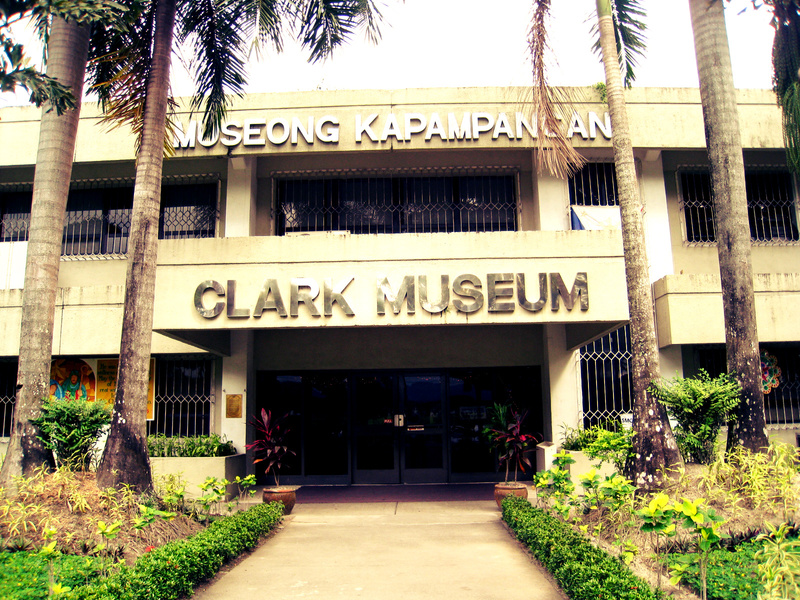 If you want to appreciate how Clark evolved over the years, Clark Museum is the place to go. You’ll see paintings, photos, relics, posters and others that can be interesting for some but boring for others. For a small fee, you can probably check this out for yourself. That’s because so few people go there. Or maybe we just haven’t seen others come. But when we went there, it was only us. 10. SM Clark – Passion for malls is something many of us Filipinos share. We all love to go to malls. We love to window shop. We love the air conditioning, if nothing else. We love to eat, shop, watch movies, have fun – all the things we’ve grown to expect from our favorite malls. SM in Clark did not fail our expectation. It’s one of our default places to be when we want to go out. It’s not great but it’s good enough. There are a few restaurants we like. And my kids love the fun rides such as the merry-go-round, the mini-train and the Ferris wheel. We bought a lot our home stuff from SM Clark. Our refrigerator, television, beds, washing machines, stove, kitchen utensils, trash can – they were all bought from SM. 11. Marquee Mall – This is a better mall than SM Clark for a few reasons. I think the main thing going for it is the fact that it’s owned and operated by Ayala. Their malls all seem to be a notch higher than other malls. It’s as if they’re targeting a different market when in fact, the goods are the same and the prices are no different. My kids especially like the fountain at the back of the mall. Actually it’s not just my kids who love it, a lot of children and even adults play around the fountain. Some of the kids even get wet while having fun. Not just a little wet, but a whole-body soaking wet. I figured they have planned for it and brought extra clothes for use after. The only advantage SM has, from my point of view, is its location. SM is right inside Clark so it’s much more accessible for us. Marquee mall is a few kilometers away in Angeles beside NLEX – North Luzon Express Way. 12. Mt. Pinatubo – This volcano is not in Clark. 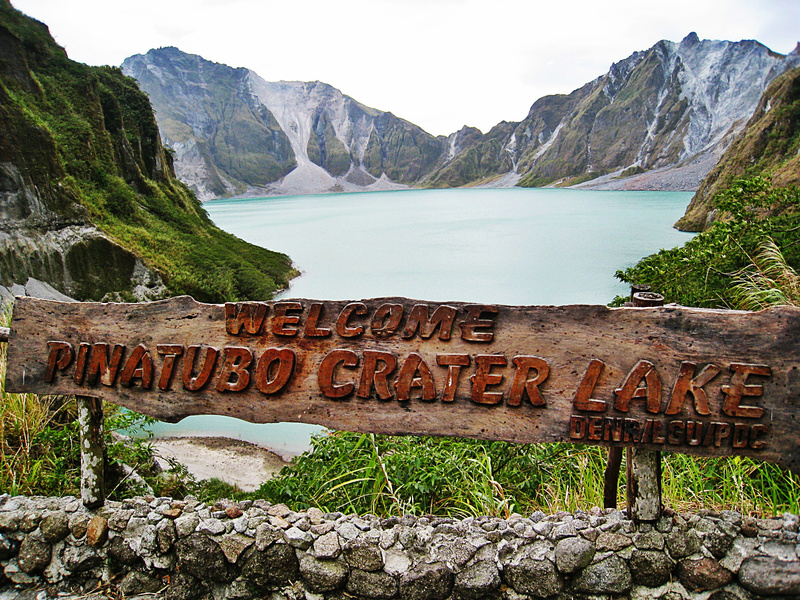 It’s an hour’s drive from Mabalacat to get to Mount Pinatubo. Its familiar name is made famous by its devastating eruption that took place in 1991. That calamity caused great havoc to many people in Pampanga and around the area. The eruption left a beautiful crater lake that is now a tourist attraction. My colleagues and I went there once feeling a little adventurous than our usual selves. Actually, we’ve been hearing about it from foreign colleagues praising it so much that we got a little ashamed of ourselves because we, the locals, haven’t been there. It was one heck of an experience that is worth every cent we spent. I would encourage every able-bodied Filipinos to visit it when they have time. 13. 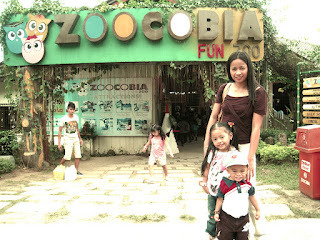 Ocean Adventure – Subic has always been mentioned together with Clark. You hear Subic and Clark all the time. That’s why I’ve mistakenly thought Subic is just beside Clark. When we went to Subic to visit the Ocean Adventure, that’s when I knew that it’s quite far away. I had to drive for an hour along SCTEX (Subic-Clark-Tarlac-Expressway) to get there. 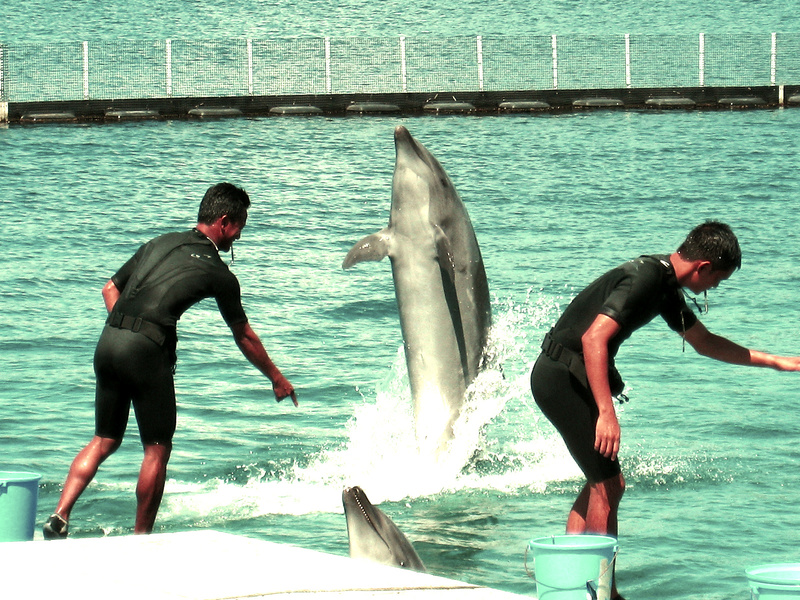 It was a great experience to see dolphins and a whale doing tricks with their trainers. 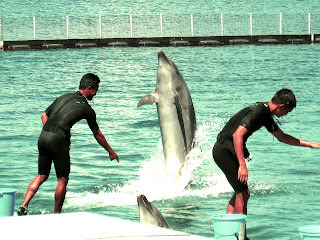 We stood in awe appreciating how intelligent those dolphins really were. I know some people are against shows like this. They think it’s no good for the dolphins which they say were being exploited for business gains. I thought the dolphins were being fed well. Although I did see that their skins had lines on them that looked to me like they were scratched by something. I hope it’s not because they were being treated badly. I know this is not all there is to Clark and to Pampanga. There are many more places to go to and many more things to do to have fun. This limited list represents how far I and my family have gone. I’ll try my best to go even farther as soon as I can!